Yunnan University was founded in 1922, when it was Private Donglu University. In 1934, it was renamed as Provincial Yunnan University and in 1938 renamed as National Yunnan University. 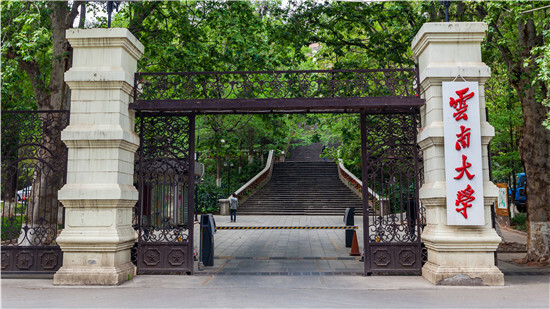 It is one of the earliest comprehensive universities in Southwest China. In 1937, when Xiong Qinglai, the well-known mathematician and educationist, served as the president, a large number of renowned scholars were employed to teach at the university, which laid foundation for its development and profound academic tradition, leading to the first glorious era in the history of Yunnan University. In 1940s, Yunnan University developed into one of the famous large universities in China with international influence and offered courses in arts, law, science, engineering, agriculture and medical science. In 1946, Yunnan University was listed by Concise Encyclopedia Britannica as one of the 15 world's famous universities in China. In 1950s, when Yunnan University was under the direct administration of the Ministry of Education, the national faculty restructuring was introduced. Some important featured departments, like aeronautics, civil engineering, law, and railway spun off from Yunnan University and merged into colleges like Beijing Aeronautical and Astronautical Institute, Sichuan University, Southwest University of Political Science and Law and Changsha Railway Institute. Departments like engineering, medical science and agriculture were also divested from the University and gradually developed into today's Kunming University of Science and Technology, Kunming Medical University, Yunnan Agricultural University and Southwest Forestry University, etc. In 1958, the administrative management of Yunnan University was delegated from the central Ministry of Higher Education to Yunnan province. In 1978, it was ranked by the State Council as one of the 88 national key universities. Since the reform and opening-up, Yunnan University has made huge progress. In 1996, it was among the first universities to win the membership of "Project 211". In 2001, it was listed as one of the higher education institutions to be intensively supported in China's development of its western region. In 2004, it became a key university to benefit from focused support from the People's Government of Yunnan and the Ministry of Education. In 2006, all its 19 secondary indicators were A-graded and it was rated as an excellent college for undergraduate education by the MOE. 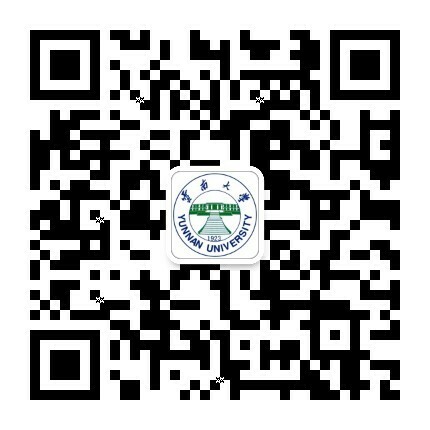 In 2012, it became a participant of the Central-western Chinese Universities Capacity-building Project, and a participant in the Central-western Chinese Universities Comprehensive Capacity Promotion Project. In recent years, Yunnan University has integrated itself into the national strategy by serving the economic and social development of Yunnan. It has committed to "taking a foothold in the southwestern frontiers, serving the people of Yunnan, promoting academic strengths, and developing distinct features" and "extraordinary and frog-leaping development from a higher starting point". 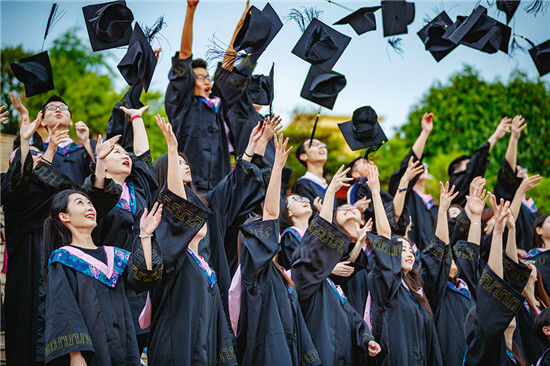 Its innovative strategy to meet those goals is to emphasize talent recruitment in a highly-focused and cooperative joint development context that includes the Talent Cultivation Plan and the Action Plan of Yunnan University to Serve Yunnan Province. The "go-global" approach will allow the university to reach new academic heights and a stronger competitive position. Yunnan University has now gathered a galaxy of talents in liberal arts, science, law, technology, economics, agriculture, medicine, business administration, and fine arts, and has developed into a modern university featuring ethnology, biology, resource development and environmental protection, borderland research, and Southeast Asia and South Asia research. According to a recent discipline ranking released by the MOE, its ethnology, ecology and political science programs rank 2nd, 6th and 10th respectively in the country. 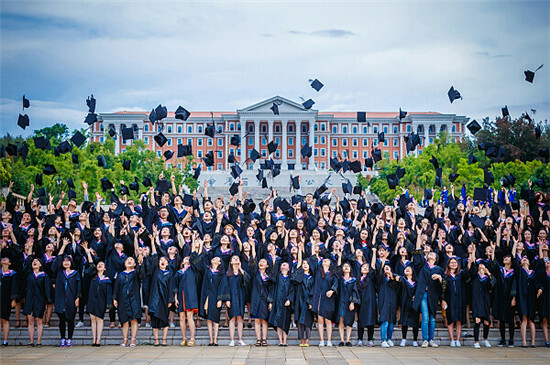 According to the 2012 Essential Science Indicators, biology and chemistry at Yunnan University were among the top one percent of the world's academic disciplines. Currently, Yunnan University has 26 schools, nine research institutes, a teaching department for general courses, an affiliated hospital and a graduate school, with 16,682 full-time undergraduates and 13,537 full-time graduate students. It has 92 majors in undergraduate programs, 12 state-level featured majors, two state-level professional comprehensive pilot reform programs, 10 state-level quality courses, three state-level publicly-available quality courses, six state-level quality video open courses, four national bilingual teaching model courses, an MOE-IBM quality course, an MOE-INTEL quality course, and two MOE-IBM specialty comprehensive reform programs. The university also has four state-level key disciplines including ethnology, ecology, specialized history and microbiology as well as 52 provincial key disciplines. Thirteen of its primary disciplines and 91 of its secondary disciplines are authorized to offer PhDs, 14 centers offer post-doctoral studies, 38 primary disciplines and 205 secondary disciplines offer master's degrees, and 22 disciplines offer professional master's degrees. It has four national bases for talent cultivation, 3 national experiment teaching model centers, 3 national training programs for excellent engineers, 1 national educational training center for excellent practical and inter-disciplinary legal professionals, 4 national innovation experiment areas for talent cultivation model as well as 1 national pilot software school. It also has 1 national key research base for humanities and social sciences, 1 national educational base for cultural quality of college students, 1 national research center for cultural industry, 1 research center for national scientific decision-making consultancy, 1 Sino-Africa partnered academic center under "Sino-Africa Think-Tank 10+10 Partnership Program", 1 provincial research center, 7 key research bases for philosophy and social sciences in Yunnan Province, 1 national key lab, 1 national model entity for technology transferring, 2 key labs jointly developed by Ministry of Education and Yunnan Province, 6 provincial key labs, 2 provincial bases for training of high-tech innovation talents, 4 provincial international joint research centers, 4 provincial engineering research centers, 5 provincial synergy innovation centers and 1 national Linux technological training and promotion center. 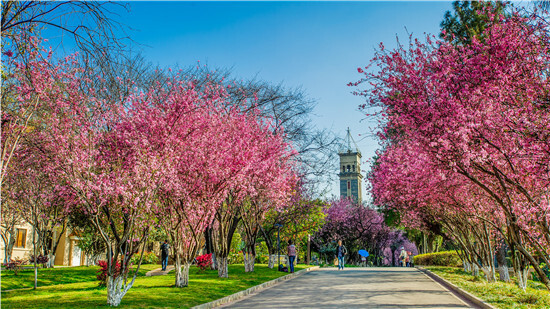 In addition to leading facilities and research centers Yunnan University is also home to many award-winning faculty members and outstanding scholars. The 2,899-strong faculty includes four national academicians, more than 50 experts enjoying special allowance from the State Council, and many recipients of national awards and beneficiaries of country-wide programs. Those include five participants in the National Science Fund for Distinguished Young Scholars and four recipients of the National Famous Teacher Award. The university understands the importance of top-quality high school education and is noted for its teacher-training programs. For example, it takes part in the MOE's Supporting Program for High-School Key Teachers, and is home to a winner of the MOE's High-School Excellent Young Teacher Award. There are 20 leaders in high-school teaching and scientific research in Yunnan, as well as 20 high-school famous teacher workshops. The university has four national teaching groups, 11 provincial teaching groups, an MOE innovation group, 12 provincial innovation groups, and seven provincial high-school technological innovation groups. Yunnan University is committed to excellence at all levels of China’s educational system. It is also active in talent and innovation development and cultural training. Many of its students were selected under the National Hundred, Thousand and Ten Thousand Talent Project or the 10,000 Talents Program for exceptional young talents. Five of its faculty were named as Leading Scientific Talents in Yunnan, ten as Yunling Scholars, and one as a Yunling Industrial Technological Leading Talent. Four of its students are recipients of the Yunnan Prosperity Talent Award, while 13 came to the university in the Program for Introduction of Overseas High-level Talents in Yunnan, 103 have been identified as young leaders in academics and technology and technological innovators in Yunnan, and 40 designated as backup young talents for leaders in academics and technology. Yunnan University hosts 12 provincial innovation groups, seven provincial high-school technological innovation groups and 15 provincial innovation groups for philosophy and social sciences. It is also home to the recipient of the 10th China Young Female Scientist Award. The university's faculty, programs, student body and commitments come together in the various projects it undertakes. In recent years, it has independently presided over projects of the 973 Plan, the 863 Plan, and eight major bidding projects of the National Social Science Foundation and MOE humanities and social science milestone projects. These projects have had practical effect. The university's report on the China-Myanmar Oil and Gas Pipeline helped the project start. Its achievements in Research on Cross-border Ecological Safety and International Rivers provided decision-making reference for solving issues related to water resources and the ecological health of rivers that flow across borders. Its research achievements in several projects, such as Dealing with Arsenic Pollution in Yangzonghai Lake, Ecological Rehabilitation and Dealing with Polluted Rivers and Investigation of Non-Point Source Pollution in Dianchi Lake and Controlling Measures have made key contributions to dealing with pollution in plateau lakes. In addition to generating important practical effects, the projects have garnered many awards for the university. It has been awarded several national prizes, such as a first prize for National Natural Science Award, another first prize recognizing a National Higher Institutional Humanities and Social Sciences Outstanding Achievement and a second prize for National Science and Technology Progress, among others. 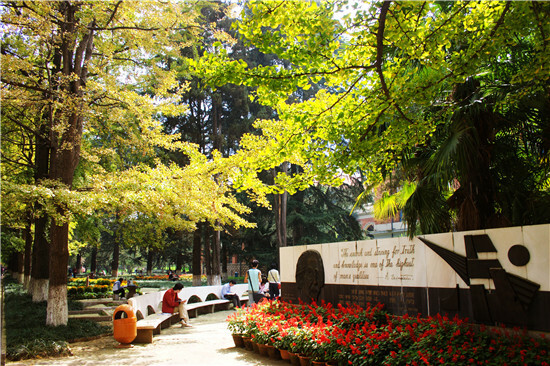 Pursuit of excellence underlies all of Yunnan University's academics. Ten papers by its professors have been published in world's famous academic publications, like Nature and Science. It has also sponsored academic publications in arts and sciences like Yunnan University Journal and Ideological Front, one of 11 publications listed by the MOE in its Famous Publications Program. 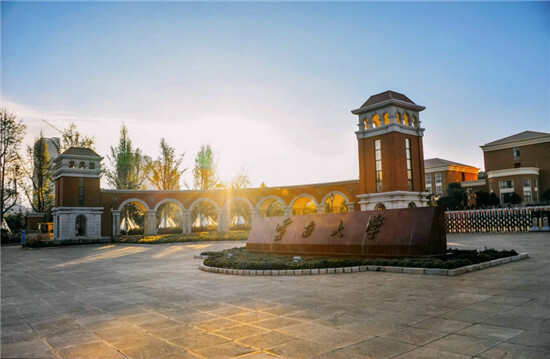 The University, covering an area of 300 hectares, is divided into Chenggong Campus and Donglu Campus, with a public floor area of more than 814,000 square meters, asset value of more than 432 million yuan for teaching and scientific research instruments and equipment, and a collection of more than 3,420,000 books in the library. The campus network is the main node of CERNET in Yunnan. Looking into the future, Yunnan University will stick to its spirit of "wisdoms from many, justice for all", highlighting rule of law, establishment by virtue, developing by relying on academic research and talents. It will continue to explore the formation of modern university system, enhance its academic strengths, improve its education quality, strengthen its research capacity and social services, promoting its cultural inheritance and innovation capability. It is now working hard to become a regional first-class university that is "best in China, and famous throughout the world".